Kansas University assistant basketball coach Joe Dooley has withdrawn his name from consideration as a candidate for the head-coaching job at UNC-Wilmington. Dooley, who interviewed for the job last week, reportedly was one of three finalists – with North Dakota State head coach Tim Miles, who will interview today, plus Texas assistant Rodney Terry. 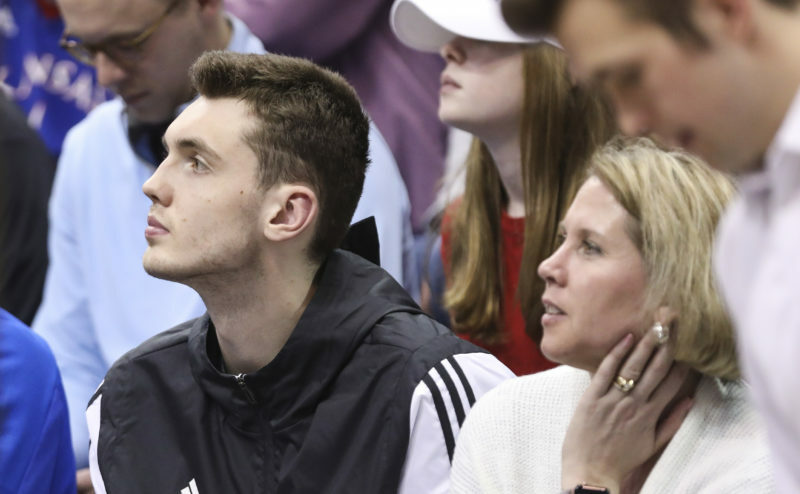 “Essentially, after meeting with coach (Bill) Self and Mr. Perkins (Lew, athletic director), I felt there were unfinished things to accomplish at Kansas,” said Dooley, who has been on Self’s staff for three seasons. Dooley, a former head coach at East Carolina and who worked as an assistant at South Carolina and is quite familiar with Wilmington, said he appreciated the people at Wilmington. ¢ Exempt tourney update: KU basketball fans soon will be able to finalize travel plans for a Thanksgiving-week trip to Las Vegas. The NCAA Management Council on Wednesday approved a proposal allowing men’s and women’s teams to compete in one exempt tournament per season instead of two in a four-year period. 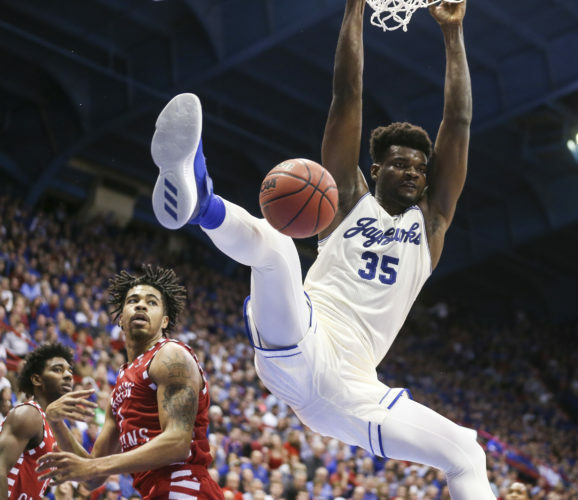 The NCAA Board of Directors is expected to rubber-stamp the Council’s action April 27, paving the way for a KU-Florida matchup Nov. 25 at the Las Vegas Convention Center, which when set up for basketball seats about 6,000 fans. KU will also play a game in Vegas on Nov. 24 against either Ball State, Western Kentucky, Hartford, Tennessee-Chattanooga, Tennessee State or Prairie View. Two of the teams in the field will play KU in round-robin games earlier Thanksgiving week at Allen Fieldhouse. 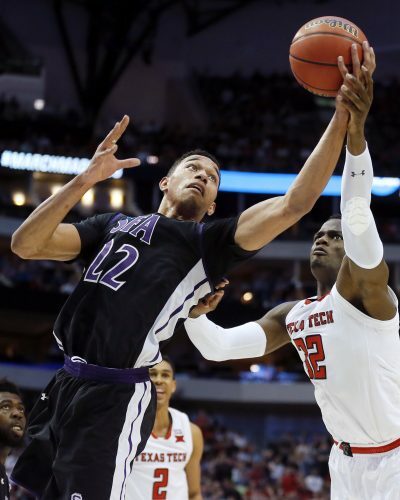 Teams starting next year will have the option to play 27 regular-season games, plus a preseason tournament such as the Vegas Invitational or Maui Invitational. Teams not involved in tournaments could play up to 29 regular-season games. The regular season also could start as much as one week earlier, on the second Friday of November. 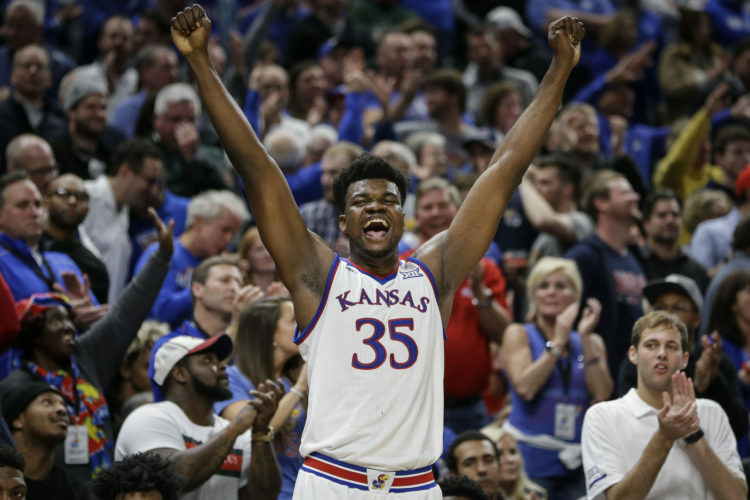 KU will play in the Las Vegas Invitational in 2006, the Preseason NIT in ’07, likely the Guardians Classic in Kansas City in ’08 and the Maui Invitational in ’09. ¢ More on Arthur: Darrell Arthur, a 6-foot-9 senior forward from Dallas’ South Oak Cliff High, will be visited by coaches from LSU on Friday, his prep coach and AAU coach said. Arthur’s AAU coach, Jazzy Hartwell, grew up in Baton Rouge, La., home of LSU. 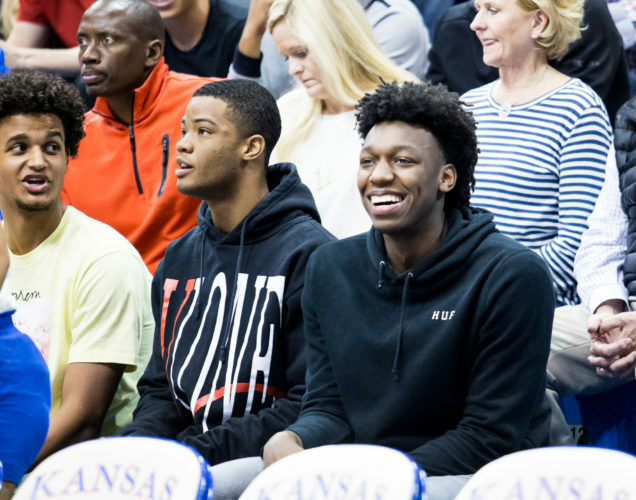 Arthur is considering KU, Texas, Baylor, Oklahoma, LSU and possibly Arizona. His high school coach, James Mays, said Wednesday there was no timetable for a decision. The late signing period started Wednesday and runs until May 15. 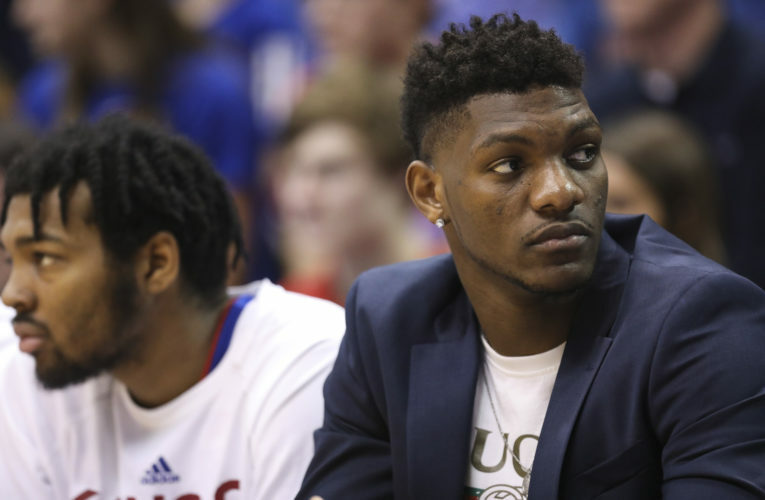 ¢ No Love lost: KU is not recruiting Josh Love, a 6-8 sophomore forward from Hill Junior College in Texas. Love, who like KU’s C.J. Giles and Rodrick Stewart attended Seattle’s Rainier Beach High, may not be able to qualify for a four-year school academically. Baylor, Nebraska, Marquette, Purdue and South Florida have been listed as possibilities. Out of high school, Love signed with Eastern Washington before heading to Hill JC. ¢ KU recruit overseas: Future KU center Cole Aldrich, 6-11, 250 pounds from Bloomington, Minn., is in Mannheim, Germany, preparing to play an opening game in the Albert Schweitzer Tournament on Saturday. The U.S. team of high school stars will play Croatia, Israel and Spain in the first three games. Aldrich, a junior, has committed orally to attend KU.